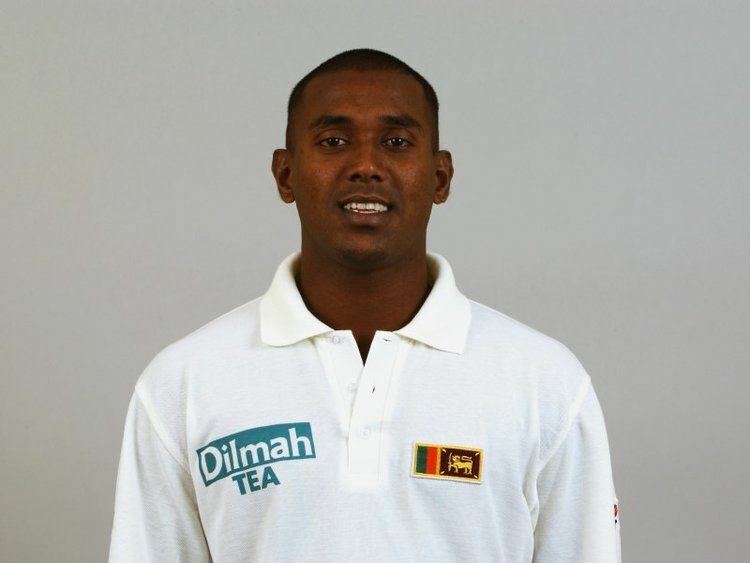 Panagodage Don Ruchira Laksiri Perera (better known as Ruchira Perera) (born 6 April 1977 in Colombo) is a Sri Lankan cricketer. He is a left-handed batsman and a left-arm medium-fast bowler. A lively bowler, with a wrist action highly modified with the assistance of bowling coach Darryl Foster in mid-2002, he made a high-profile return against South Africa, but had lost his effectiveness. Having considered a league career in England, he once again regained his form in the English domestic leagues. He was selected for the Sri Lankan tour of New Zealand in 2006 and played one game in the series. He was also selected in the squad to tour Australia. He opened the bowling attack with Chaminda Vaas but suffered a minor injury that made him miss a few games. A highly emotional player, he is well respected by teammates for his good humour and commitment.